Home | GIVEAWAY: Win Rose Gold Drop Earrings! Hi loves! Emma here and we’re kicking off the week the best way we know how: with a giveaway, of course! We’re giving away a pair of rose gold drop earrings by Rustic Gem Jewelry. Take a look! 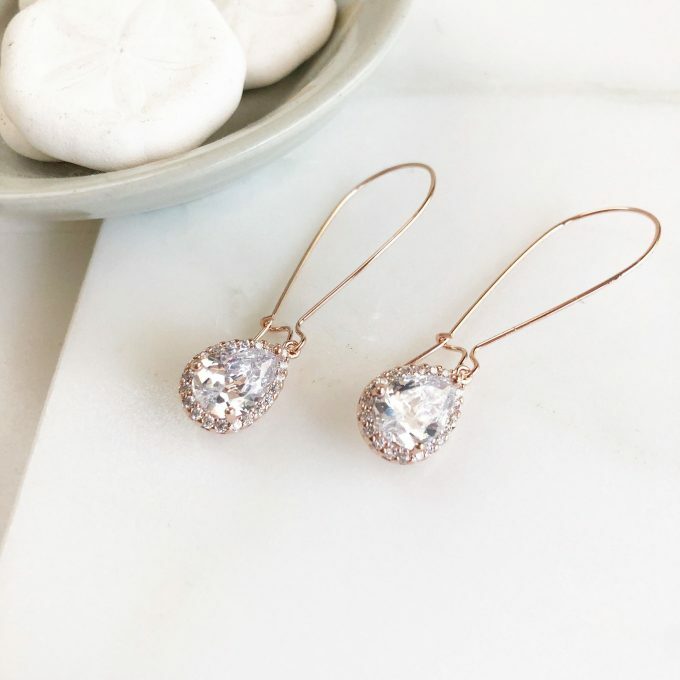 These darling drop earrings are elegant for your wedding, as a gift for bridesmaids, or as a favorite pair to wear for special events. You can find out more about the earrings here. Entry form will ask you for email address and name. Then click “BEGIN”. From here, you’ll follow the task boxes to complete your entries. Questions? Email us here. RELATED: Giveaway: Win Ear Climbers Earrings!